This outfit I love. Everyone needs to invest in a pair of black culottes because I swear I live in these ones from Zara. They can be worn casual or dressy so they are essential in the wardrobe. 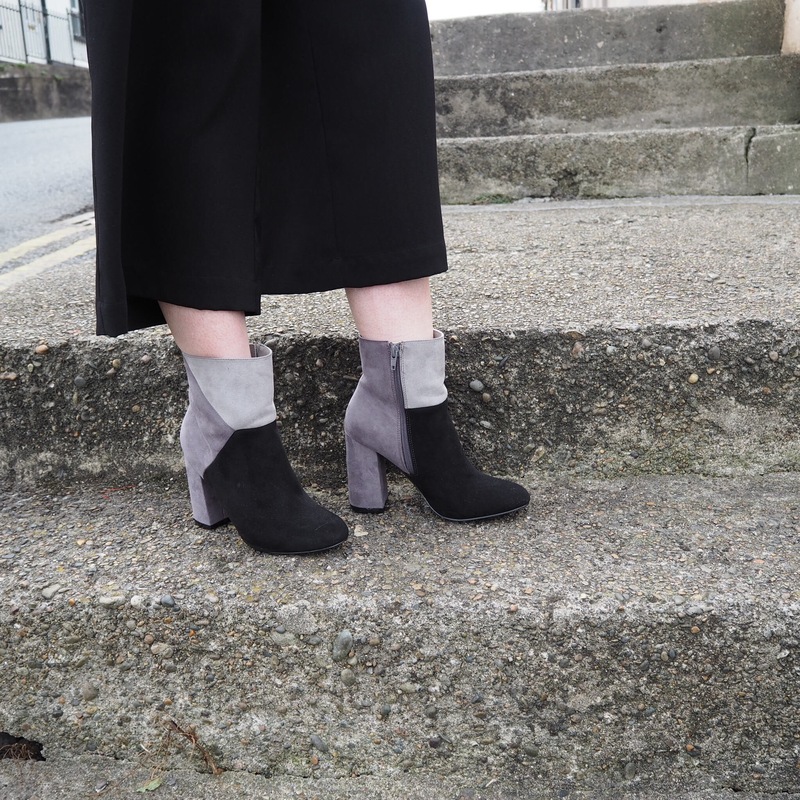 These suede boots from Penneys finally got a day out, wasn’t long before they burned the balls of my feet though I won’t lie. Oh well, pain is beauty. If you remember in my last outfit post here, that I was still on that long, never ending, stressful hunt for a house. Well, now I can finally say we got one. YAY! Me and my boyfriend have been looking for a house to rent for 4 months. That might seem short but it was a long struggle, and anyone looking to rent in Waterford I’m sure will understand the hardship. Now we have a house that we both love. I cannot wait to add our own little touch to it. No longer will I be clothes shopping, it’ll be homeware shopping all the way. That way himself can’t give out to me either as I’m buying for the house and not for me personally … I have it all worked out. So with that, and our trip to Edinburgh coming up shortly I can honestly say I am truly happy. I finally feel like I no longer have anything to stress over, to worry or complain about (until the bills come in). I’m really happy. Moving out, going away after only coming back from Rome 2months, I’m one of those people I usually envy. It’s true what they say, just when you think things are falling apart…they’re really falling into place. Life is good right now. Great post! Love the outfit and location! Congratulations on your new crib.